Can Psychiatric Care be Improved by IT? Picture this: You are diagnosed with a heart problem and hospitalized to have it treated. You meet the doctor, who will be responsible for your treatment and you ask him what is going to happen to you. He is clearly only remotely interested in you, but directly addressed, he mentions that you will be operated. Otherwise he only mumbles about the fact that you’re very ill, and that you will probably never recover completely. You will get an injection and if you don’t corporate, they might consider using force to ensure that you do. Don’t worry too much, though, he says, and leaves you, clearly signalling that he’s too busy to talk to you, and that after all, you’re just the patient. Such treatment of patients would be scandalous in somatic care, but in psychiatric care all over the world, it happens routinely. Fortunately, things are changing. 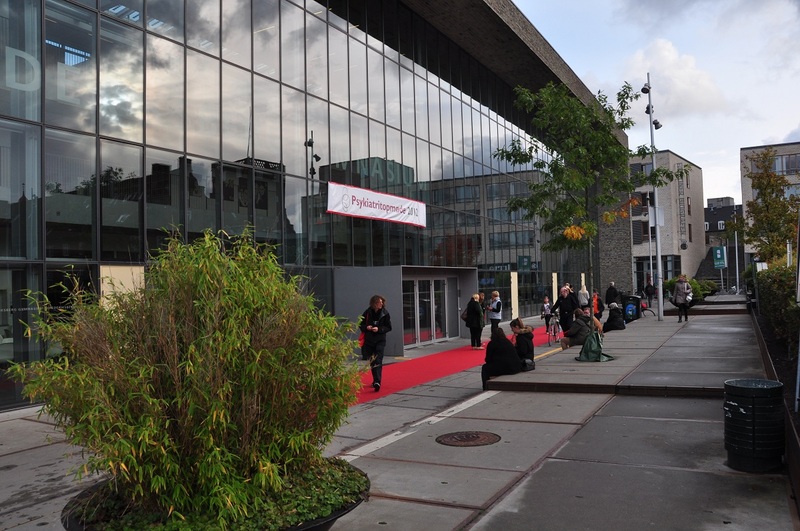 Former Danish prime minister Poul Nyrup Rasmussen hosts a yearly ”Pscychatric Summit Meeting”, where users of psyhicatry and their peers get together to discuss problems, actions and trends. There are top politicians attending the meeting, but the ”stars” are the users – or patients as we often call them. His summit meetings have already helped improving things a lot, pushing psychiatry to depart from the old paradigms of force and medicine based treatments, moving towards a user centered approach. We’re not there yet: Recently a case of systematic, life dangering, overmedication of patients in Copenhagen was revealed. But the situation is clearly improving. There’s no doubt that if we are to change psychiatric care, we need to focus on values, but we will also need new ways of treating patients, and one of the more promising trends is to employ information technology in psychiatric care. We’re not talking brain scanners or electromagnetic brain therapy machines, though. We’re not even talking neurofeedback therapy. No, what we’re talking about is communication technology. Thats why we call it tele-psychiatry, implying the increased use of tele-communications. 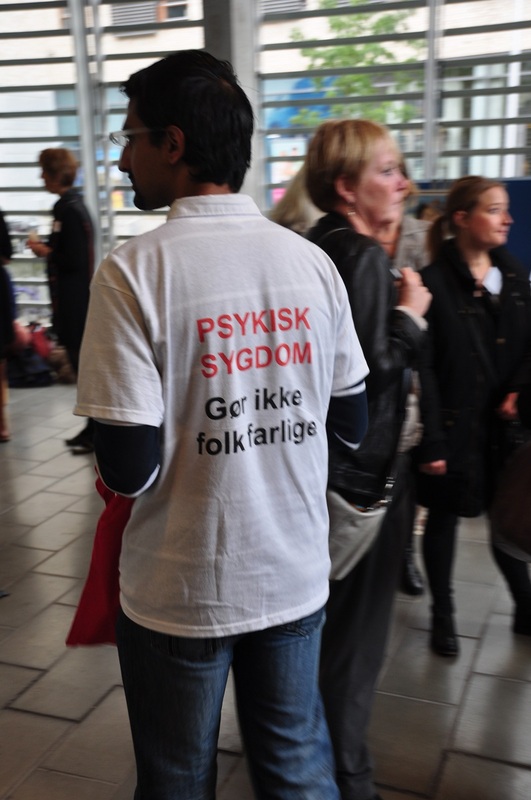 During the Psychiatry Summit Meeting last Saturday October 6th, I participated in a workshop organised by the danish ADHD Foreningen on tele-psychiatry. Eliminating barriers – it’s easier to get in touch with your doctor. Empowering the patient – psychiatrists should get off that soap box, stop talking down to the patient, and face him or her as a peer. Improved coordination of treatments between different sectors, hospitals etc. Less transport time wasted by patients. Reducing anxiety and fear for some patients by allowing them to stay in touch with their caretakers without leaving home. It will be forced on users, further reducing their feeling of control over their own lives. Voluntarity is important: The user should always decides for herself or himself whether information technology is something he or she would want to use in hers or his communication with caretakers. This applies both to apps or programs used by the user to record his or hers emotions, sleep or other aspects of mental health, as well as to tele conferencing tools (e.g. Skype). Tele-psychiatry should not replace any existing parts of treatment programmes: It should supplement treatment programmes. What about information safety? If you’re meeting face to face with a doctor, you can be pretty certain noone is listening, but when you are meeting your doctor over the Internet, you don’t know who might be listening in on you. The possibility of information leaks should be taken seriously. Ethics: If you’re a psychiatrist communicating with a patient over Skype, you might gain insight in things going on in the patients home. How do you deal with that? How will the virtual communication space affect what is being communicated? We need to know this to make sure treatment plans still apply (e.g. systematic interviews conducted by psychiatrists could be affected by this). It will be easier to capture daily problems: Many users in psychiatry find it difficult to remember or to convey their experiences to the doctor during the regular meetings. With communication more easily accessible, this could improve and the doctor would be better able to make the right descisions about treatments. Social networks should be included, not excluded from the technology. Peers are often the best ”doctors”. Politicians should not treat tele-psyhicatry as the new magic technology which will allow them to save money and improve care at the same time. Even though I’ve been working with information technology for almost 20 years now, I was initially very sceptical about tele-psychiatry, thinking that we need to be careful not to waste what we have. The workshop made me realise that tele-psychiatry can improve psychiatric care. I intend to follow the technology developments closely, primarily from the user side, but – if opportunities turn up – possibly also professionally. Simon Morley posted a very interesting post about Challenges with communicating models about two weeks ago. Mental models are what we unconscously use to understand a situation, and communicating models to others is an interesting challenge: “[…] models do not transmit themselves – they are not necessarily understood on their own – they need the necessary “synch’ing” to align both parties to achieve comprehension, communication and dialogue”, as Simon summed it up in a comment on the blog post. Simons post and the very good discussion he and I had about it started me thinking on the psychological perspective and how important empathy is: The “synch’ing” relies on empathy. I really liked Simons blog post because above all it highlights the subjectivity of mental models. Models are not something you can implement in an organisaton just by e.g. e-mailing them to all employees. If you want someone to ‘get’ your model, you need to actively communicate it. Which is not possible without empathy. Empathy is something that we associate with friendship and love, but it plays part in all communication processes between human beings, including those we as testers engage with at work. From time to time we come across people who seems to have a total lack of understanding of what we’re doing: Colleagues, managers, customers. Most of the time, people who don’t understand need only a good explanation of the situation and our point of view. But sometimes, an explanation isn’t enough: Some people just don’t seem to want to understand. People under pressure or in stress can be like that, and we often associate this with aggressive behaviour, rudeness. Or maybe we just see the rudeness, and only later realise that maybe there was a problem with understanding. Empathy seems to exclude this behaviour. Empathy relies on a cognitive ‘feature’ of our brain which attempts to copy thoughts and feelings of other people: It tries to decode what those who you interact with are thinking based on verbal as well as unconscious ques, e.g. body language. It’s quite obvious that having ‘a notion’ of what someone else thinks and feels can make communication much more successful – if you feel sympathy for the other persons feelings and thoughts. This can work both ways: Loss of empathy in a situation can mean that you think everybody else thinks and feels the same as you, and it can cause quite a lot of confusion and frustration when you realise that other’s are’nt thinking the same as you. It can happens to all of us: The brain is not a perfect and consistently operating machine, but rather a very adaptable and flexible organ. For example in situations of crisis, empathy is one of the first things to go. A person in a crisis shift from being a social creature to goal oriented and focused, typically on survival – at any cost. There are people who don’t want to understand, e.g. due to politics. But there are some people who involuntarily just aren’t able to get to ”the other side” of the argument, for example because they’re having ”a bad day”.